This tiny electronic device is only 26mm in diameter, and 9mm thick! It is worn on the user’s upper body and helps them correct their posture. As you may have guessed, it comes straight from China. The principle behind the Giraffe Friend is very similar to the well know LUMO Lift. If the wearer slouches, or moves out of a healthy postural position, it vibrates to remind them to straighten up. The Giraffe Friend also logs data and sends it in real time via Bluetooth to the proprietry smartphone app. The app is only available for Apple (iOS) devices at this point. 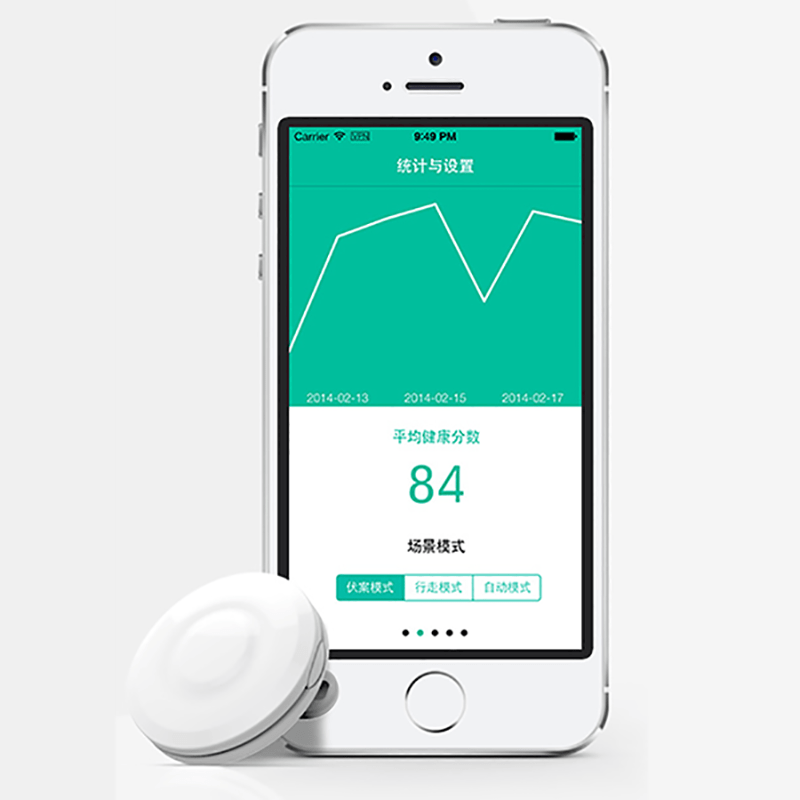 The app allows the user to analyse their posture and habits over time both in numerical and graphical forms. The initial plan is that the Giraffe Friend will launch with a choice of seven colours. This is handy as the creators market the device as being a fashion accessory for health conscious people. It is claimed to have a fast 20 minute charge time that will keep it in action for around 4 days – very impressive. One interesting feature is that you can programme it to vibrate at fixed intervals to keep you focused on your posture. When Will Giraffe Friend be Available? The Giraffe Friend team are currently raising funds to go into production using the DemoHour crowd funding platform. They have already considerably exceeded the target amount and look well placed to proceed. We will keep a close eye on when the product starts shipping and are keen to get one in our hands to test. 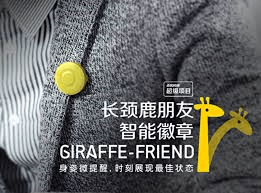 It will also be interesting to see if the Giraffe Friend marks the start of a trend towards more electronic posture correctors, many manufacturers will be watching the market space with interest. Estimated price will be around $50 usd. Hi, the Giraffe Friend never got to market. If you are looking for a product that trains your posture, the current best is the Lumo Lift.